Turkey’s political model has long lost its luster, but a growing diplomatic crisis with the equally erratic administration of US President Donald Trump has now pushed the country’s economy into a full-fledged currency crisis. The Turkish lira has lost nearly half of its value over the last 12 months. And, because Turkish banks and firms have borrowed heavily in foreign currency, the lira’s freefall threatens to bring much of the private sector down with it. President Recep Tayyip Erdoğan, having won the first election since Turkey’s formal change from a parliamentary to a presidential system in June, now governs the country autocratically. He relies on government ministers selected more for their loyalty (and family ties to him) than for their competence. For more than a decade, financial markets gave Erdoğan, who was Prime Minister until 2014, the benefit of the doubt and supplied the Turkish economy with easy credit. Economic growth became dependent on a steady flow of foreign capital to finance domestic consumption and flashy investments in housing, roads, bridges, and airports. This kind of economic expansion rarely ends well. The only real question was when it would. The immediate trigger was the Trump administration’s decision to use sanctions (and the threat of more) to press Turkey to release Andrew Brunson, an Izmir-based American evangelical pastor arrested during the purges that followed the failed coup against Erdoğan in July 2016. The crackdown has involved 80,000 arrests, 170,000 firings, the closure of 3,000 schools, dormitories, and universities, and the dismissal of 4,400 judges and prosecutors. These draconian measures were taken under emergency rule, generally under orders from Erdoğan’s circle. Resistance to the suspension of basic liberties has been minimal, as media are heavily controlled and civil society has been emasculated through repression and the consequent climate of fear. Brunson is but one of many thousands accused of terrorism in the post-2016 crackdown. Like every financial crisis enabled by unsustainable economic policies, finding a way out requires both immediate and medium-term remedies. In the short run, the economy needs confidence-boosting measures to stabilize financial markets. Turkey’s central bank may need to raise interest rates, despite Erdoğan’s deep aversion to such a move. A concrete and credible program of tightening fiscal discipline and restructuring private-sector debt is essential. The International Monetary Fund may have to be called in for temporary financial assistance. But these short-term fixes don’t address the economy’s long-term fragility, which is rooted in the personalistic autocracy that Erdoğan has erected. Turkey has never had an unblemished democracy. Prior to Erdoğan’s ascent to power in 2003, its democracy was interrupted four times by military interventions. But it had political checks and balances that constrained even the military, and power changed hands on numerous occasions through increasingly fair and free elections. No individual since the end of World War II had acquired unchecked powers. Starting from a weak base when multiparty democracy was instituted in 1946, civil society had developed to the point that governments conferred with business associations, unions, academics, the press, and various other private interest groups. In his early years, when he still felt threatened by the military and the secularist elite, Erdoğan paid lip service to democracy and human rights. He made overtures to the long-repressed Kurdish minority. Domestic liberals and supporters in the West were bamboozled into a “democratic Islamist” narrative that they were desperate to believe. But even as he garnered praise in the West, Erdoğan had begun to eviscerate independent media through gargantuan tax fines. He also undermined the rule of law through sham trials against generals and other leading secularists. Erdoğan’s descent into authoritarianism accelerated after he broke with his ally, the US-based Muslim cleric Fethullah Gülen and his followers, and it accelerated dramatically after the coup attempt. 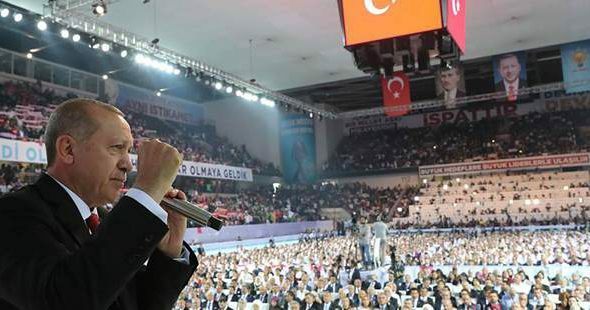 With the June election, says Erdoğan, “Old Turkey” has given way to “New Turkey.” In the new order established under this Second Turkish Republic, any challenge to his authority is liable to be viewed as treason. 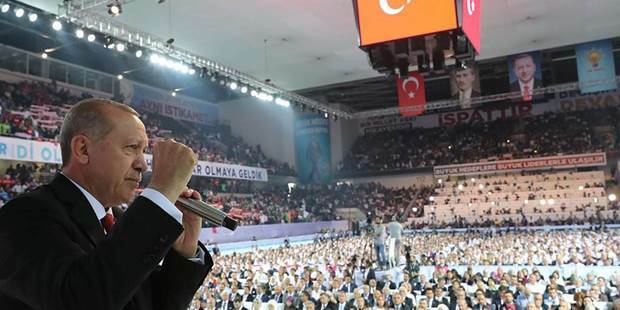 Erdoğan claims credit for whatever goes well and blames dark forces – often unnamed foreign conspirators – for failures. His glorification, appearance of infallibility, and ultimately political survival are portrayed as Turkey’s supreme goals. Every other objective, whether productivity growth, keeping foreign friends, improving education, or healing social wounds, takes a back seat to strengthening his rule. And in return for his sacrificial services to the Turkish nation, he is entitled to be above all laws and to enrich himself and his close associates. The system Erdoğan has instituted leaves no place for competent politicians or bureaucrats at the helm of the economy. They have been pushed out because their goals transcend the leader’s self-interest. Fear prevents honest debate of issues. Businessmen, academics, and journalists at the top of their fields have fallen mute in the interest of self-preservation. His circle is packed with yes-men (and some token yes-women), who strive to satisfy his sense of omniscience and magnificence. Even opposition leaders in Turkey’s now-toothless parliament become cheerleaders whenever he signals that lack of support would be treated as aiding the enemy. As in Russia and Venezuela, a few courageous dissidents are allowed to exist on the margins of public discourse, to provide a semblance of free speech. But they lead precarious lives, always at risk of being arrested as a warning to others to remain within bounds. Sooner or later, economic pressures will force Turkey to adopt fixes that will stabilize its currency and financial markets. But that will not revive long-term private investment, bring back talent that is leaving the country in droves, or foster a climate of freedom that will allow Turkey to thrive. As China and other Asian countries have shown, some autocracies can prosper when their leaders prioritize sensible economic policies. But when economics becomes merely another tool for enhancing the president’s personal power, the economy, as we now see, necessarily pays the price.